In the Parivartan Rally at Dari Mela ground Dharmashala, the congress party today urged the party workers and the cadres to opt for Parivartan in the state in the coming Vidhan Sabha elections which are merely four months away. Congress parivrtan rally was witnessed by its thousands of supporters and its leaders. Addressing party workers at Dari Mela ground Dharmashala Union Minister and former Chief Minister of Himachal Pradesh Virbhadra Singh said that whatever the state is today is because of the vision of successive congress governments at the state and at the centre. The development of the state of Himachal Pradesh is because of the policies of the congress government. 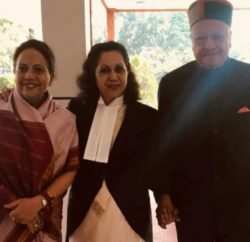 He advised present chief minister of Himachal Pradesh Prem Kumar Dhumal to be thankful towards the union government at the centre Singh said that they should stop misleading the people of the state. The UPA government has already kept the state in the privileged category like Jammu and Kashmir or certain north east states have been kept. Singh accused the chief minister of non uniform development in the state and thus dividing the state and people from their right to grow financially. Reiterating the sacrifices made by the congress government in the state of Himachal Pradesh union minister Anand Sharma said that the BJP government of the state is doing wrong publicity to defame the congress party in the state. He said that the UPA government at the centre sustained the financial stability of the country when whole of the world was destabilized by the economical crisis. UPA government works for the betterment of Aam Aadmi. He further said that for the last three years Rs 2700-cr only have come under the NREGA and there are many more funds which were released by the UPA government under the centre sponsored schemes which clearly shows that UPA doesn’t do any kind of partial behaviour where there is ruling non UPA government. He urged the people of Himachal Pradesh to vote for development and bring parivartan in the state. Proving all the recent reports false the state party in-charge and general secretary Birender Chaudhary said that today congress leadership in the state is united and this is proven in this historic rally at Dharamshala. 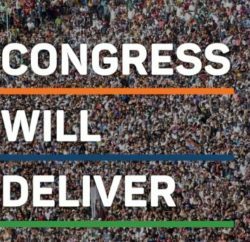 If the congress remains united nobody can stop it to form the next government in the state and if doesn’t then it will again give the corrupt government of BJP to come on power. 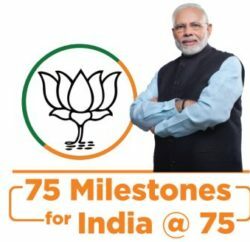 Taking a dig at the slogan of BJP “MISSION REPEAT 2012” he said that its not so, actually it should be “MISSION DEFEAT 2012”. Singh said that congress party will make the election manifesto in which poor people of the state are financially benefitted. This is the right time and the congress president Sonia Gandhi has already directed the state leadership that winning is important. Accusing the BJP government of the state for being partial in development the state party president Thakur Kaul Singh said that the time has come now the party workers have to go to villages and tell the people of the state that what is BJP and what congress government have done for the benefit of the people of Himachal Pradesh. G S Bali, MLA, Nagrota Bagwan said that congress will form the government withn2/3rd majority and if this doesn’t happen he will quit politics forever. He accused the BJP government on non performance, corruption, anti farmer and anti youth policies. Lambasting on the industry minister of the state Bali said that Kangra is the biggest district almost 1/4th of Himachal Pradesh and industry minister has failed to get one industry for the district in the last four years. GS Bali also accused Chief Minister of misleading the people of the state by taking credit for those development works which were actually done by the UPA government. He challenged Chief Minister for debate on the matter of unemployment in state Bali said stressed that the 9 lakh unemployed youth need good and effective policy. He urged the central leadership to ascertain that when congress comes to power every minister meets the party workers minimum two times in a week either in office or in his constituency to make the party and the government work efficiently. Congress Working Committee member Dhani Ram Shandil, MP Chandresh Kumari, HPCC vice-pesident Cander Kumar, former HPCC president Viplove Thakur and AICC secretary Asha Kumari were among other prominent leaders at the rally.